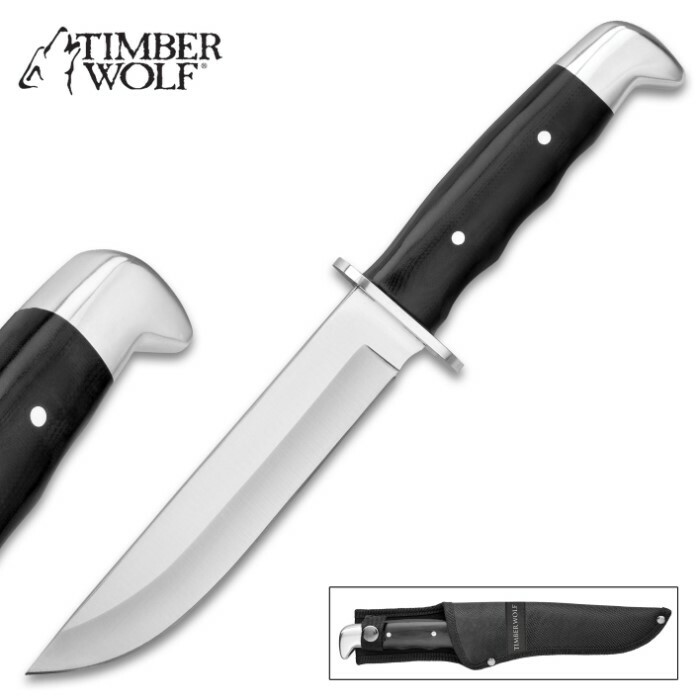 Timber Wolf Black Sentry Fixed Blade Knife - Stainless Steel Blade, G10 Handle, Stainless Steel Pins - Length 11” | BUDK.com - Knives & Swords At The Lowest Prices! 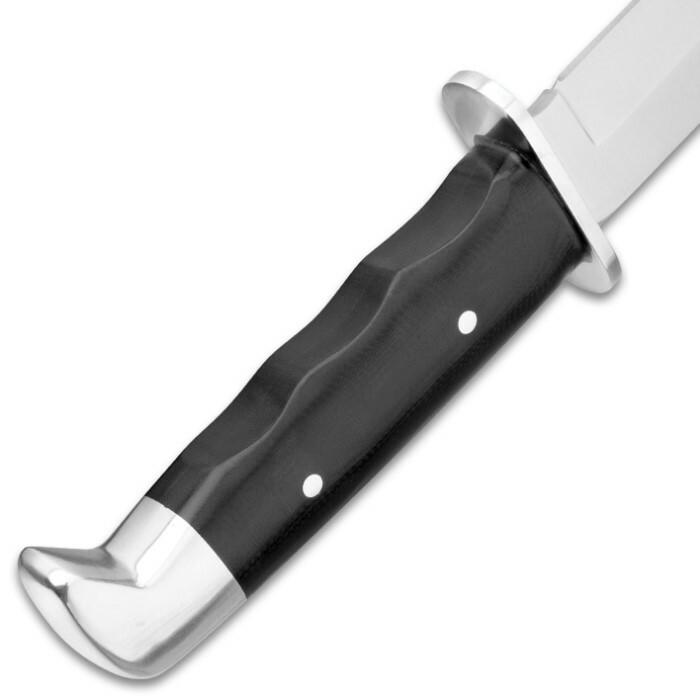 When you’re standing guard, you need a knife on your hip that will back you up if necessary. 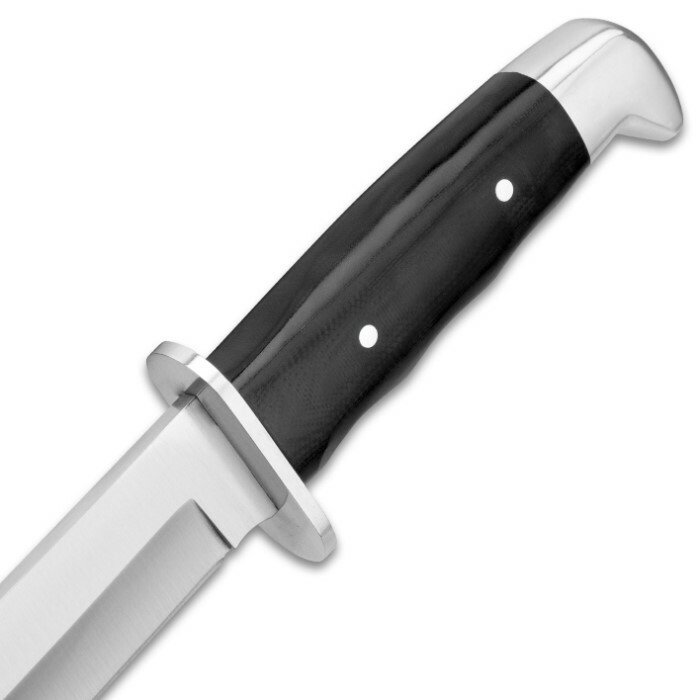 The Black Sentry Fixed Blade Knife from Timber Wolf has a 6 1/2” 420 stainless steel blade with a polished finish and, make no mistake, it is keenly sharp. 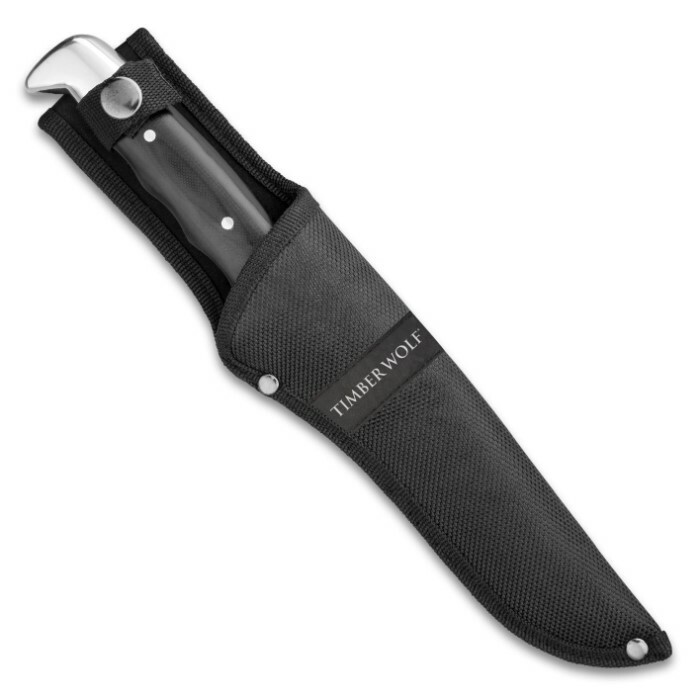 The ergonomic grip, black G10 handle is accented with a polished stainless steel guard, pins and pommel and the fixed blade can be carried conveniently right at your side in the included nylon belt sheath. Have the Sentry with you when you’re keeping watch!